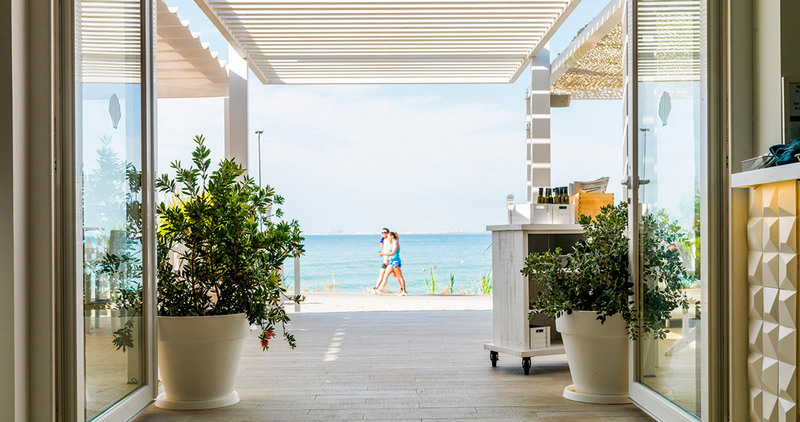 With the objective of increasing its gastronomic offer, the Thalasso Palasiet Hotel in Benicassim has designed the Palasiet Club. Located right in front of the hotel itself and the talasotherapy centre, this new restaurant concept aims to merge local and healthy gastronomy with other disciplines such as leisure, cultural and sporting activities, turning itself into a ‘space of experiences’. 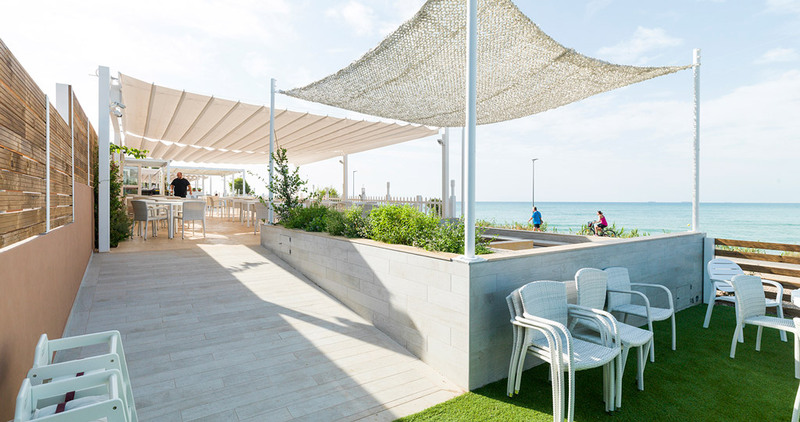 One of its main values is the unique setting in which it is located, presenting itself as a panoramic restaurant with unique views of the bay of Benicassim. Undoubtedly, a space for personal, mental and taste enjoyment, which has banked on top professionals in order to make what is on offer both unique and exclusive. 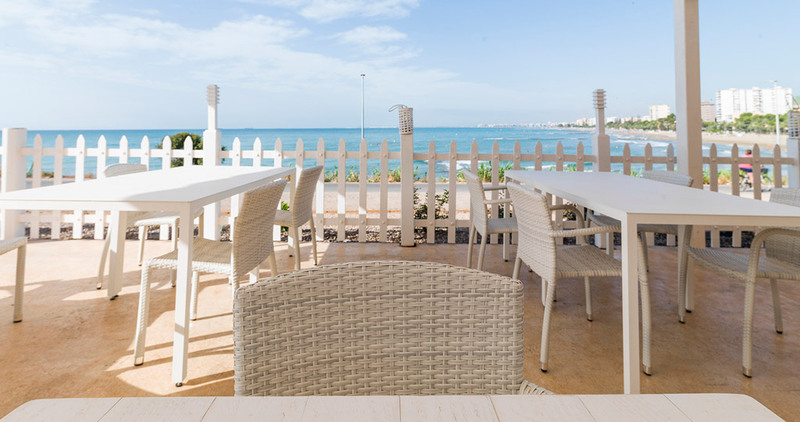 And, gastronomically speaking, the Palasiet Club, terrace, gastro-bar and restaurant has an exclusive menu designed by the chef, Juan Casamayor, manager of several prestigious gastronomic businesses in Valencia and an award-winning chef at the Madrid Fusion event. 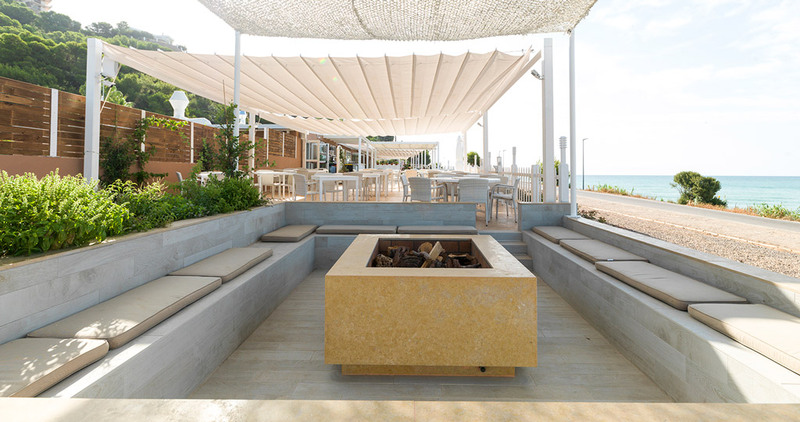 For the interior design set-up, the Thalasso Hotel Palasiet company has counted on the quality and design from the PORCELANOSA Grupo, a firm present in both floor tiles and bathroom design, along with the kitchens and the outdoor spaces. 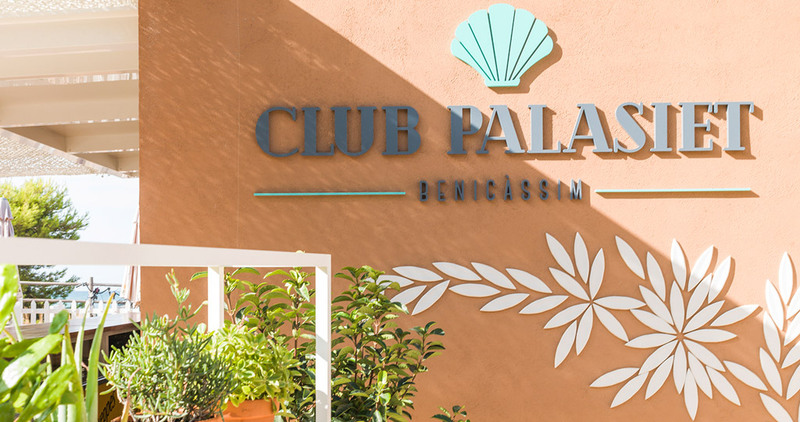 An exclusive and high-traffic commercial project such as the Palasiet Club required materials with high quality and durability to be installed as a floor tile. For this reason, the 14.3x90cm PAR-KER Oxford Blanco ceramic parquet by Porcelanosa was chosen. Its neutral and light-shaded look is capable of providing spaciousness and luminosity to the spaces. 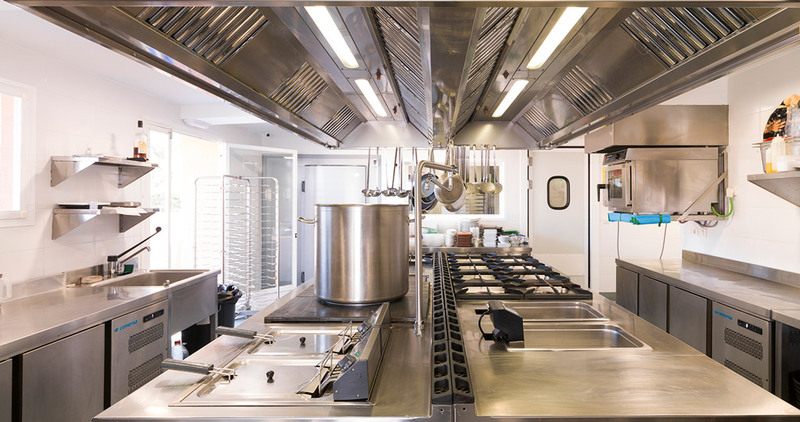 Likewise, building solutions by Butech have been available for this new concept of gastro-healthy restaurant. 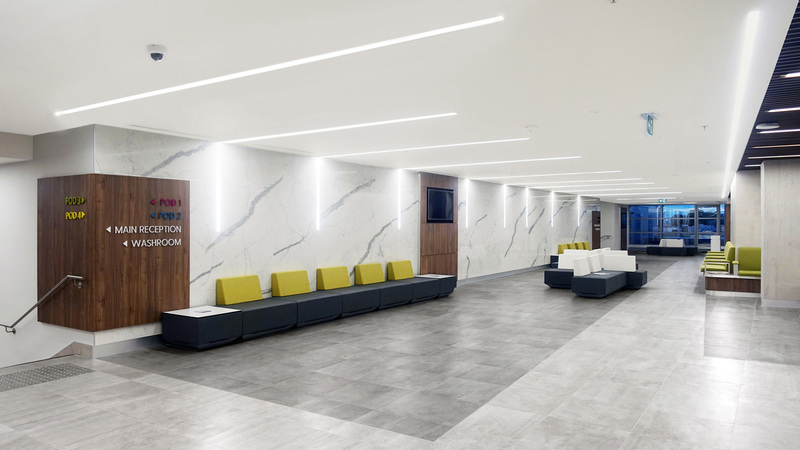 In order to increase the floor tile durability, the Colorstuk Rapid Manhattan tile grout has been included, favouring that the result after its placement is optimal. 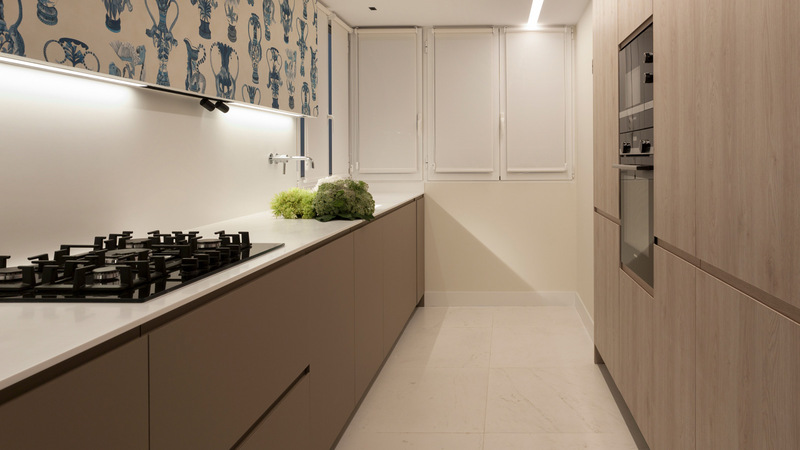 For the kitchen as a main room, PORCELANOSA Grupo equipment has also been relied on. 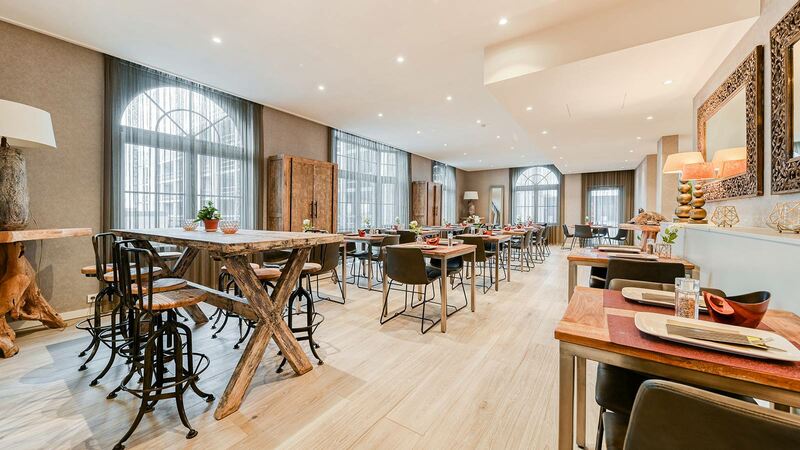 In fact, Gamadecor has overseen the design of a specific industrial kitchen for this project, which meets the gastronomic innovation requirements that a high-quality gastro-bar such as Palasiet Club has. Beyond the kitchen, to enter the bathrooms is to experience the technology and high design of the bathroom equipment pieces by Noken. From the Hotels sanitaryware, a collection specifically designed for contract projects, to the white Urban C toilet, in high performance ceramics. Finally, in this project, the KRION® Solid Surface compact mineral stands out, always in its purest version: 1100 KRION® Snow White. Its versatility and wide properties firstly meets the bar countertop requirements, and secondly, the windows which are used as an access to the terrace. 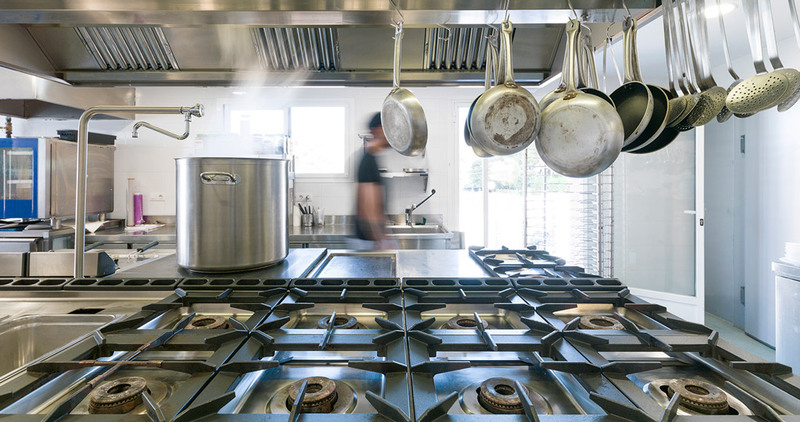 Back in the kitchen, KRION® enhances its antibacterial property and easy maintenance and cleaning, being the material that shapes the kitchen sink. A project that promotes well-being and healthy living through gastro-experimentation, as well as high luxury and comfort in each of the spaces.